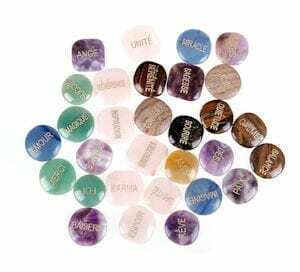 Set of 12 Angel blessings. 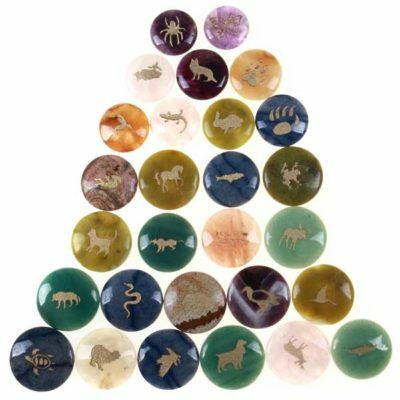 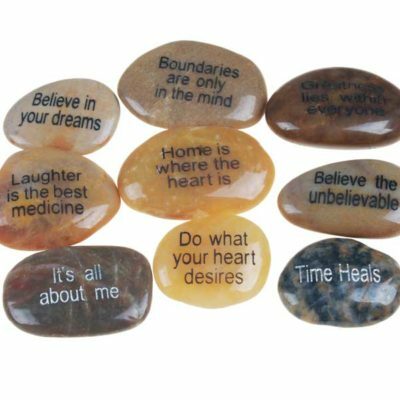 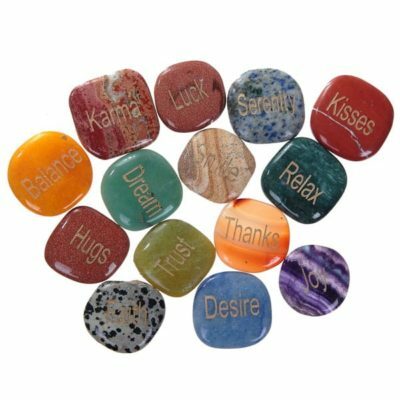 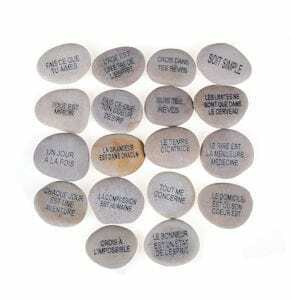 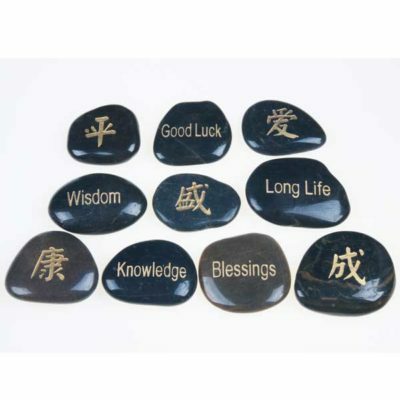 12 assorted massage stones with inspiration on each stone. 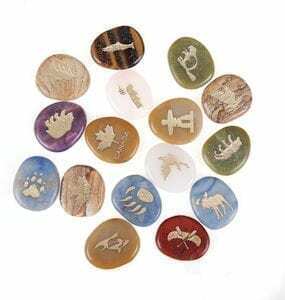 56 genuine gemstones engraved with totems. 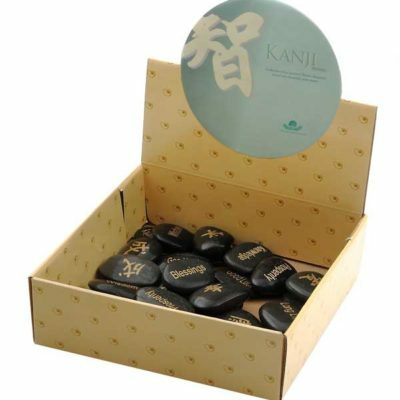 The Kanji Stone retail box contains 50 stones per display. 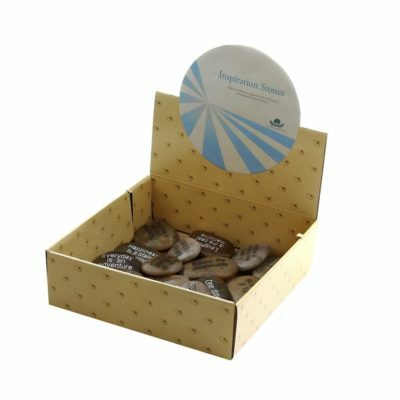 The Inspiration display contains 54 stones per display box. 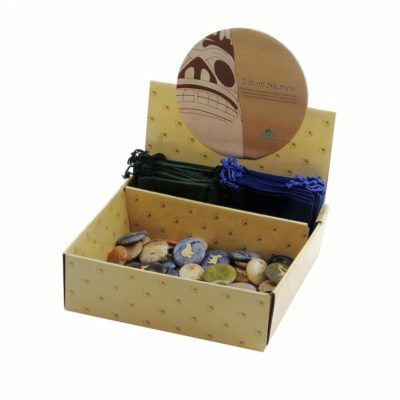 The Puff Semi Precious Display Box contains 36 stones. 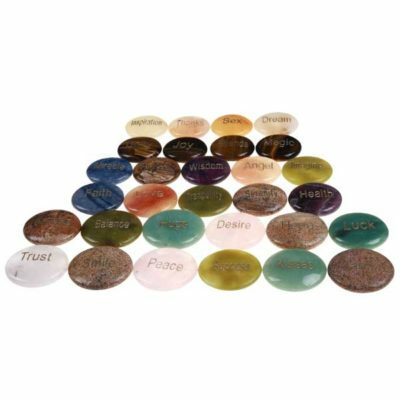 The Engraved Rose Quartz Hearts Display Box contains 35 stones.